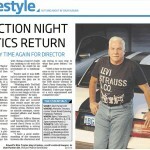 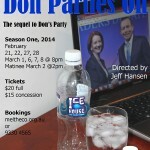 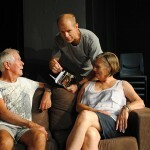 The West Australian premiere of Don Parties On – the sequel to David Willamson’s classic Don’s Party – was produced by Melville Theatre during February and March 2014 and directed by Jeff Hansen. 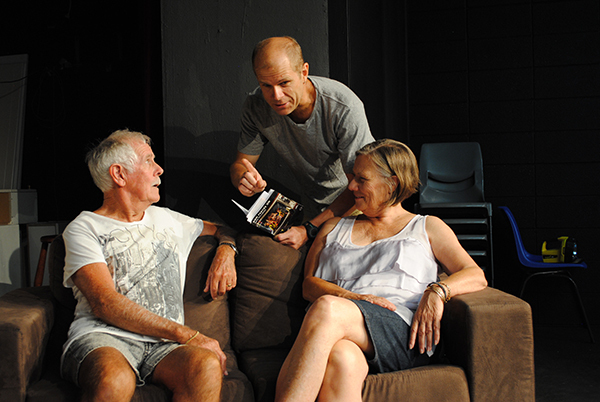 Both plays use Federal elections as a backdrop: the original was set as the 1969 Gough Whitlam v John Gorton challenge unfolded while the sequel is set during the 2010 election night of the Julia Gillard v Tony Abbott campaign. 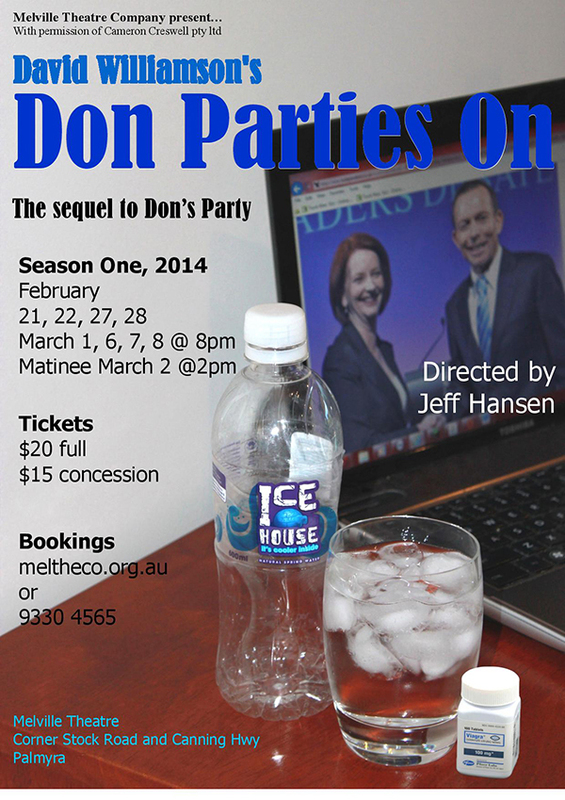 In Don Parties On, Don and Kath Henderson host another election night party and while some friends have remained throughout the intervening years, others have become estranged. 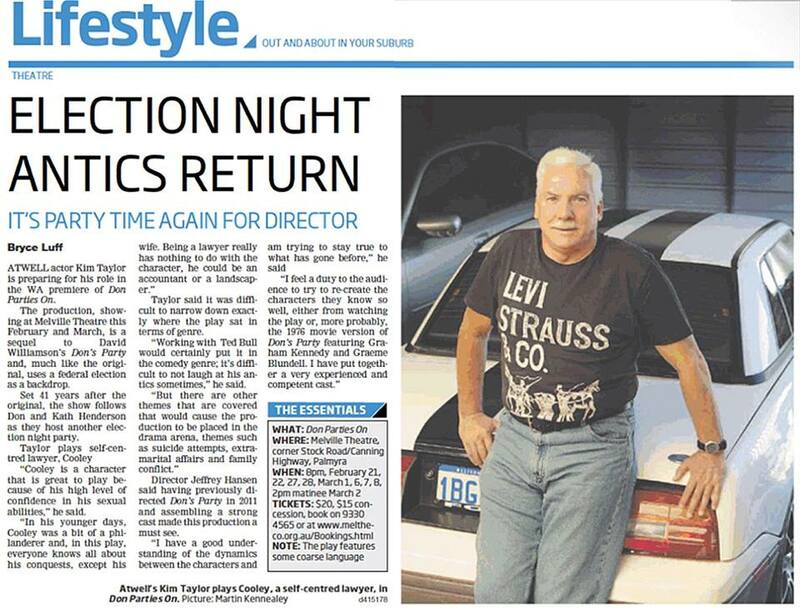 Over the decades, governments have come and gone but the group of baby boomers still hasn’t learnt that politics and strong personalities should never be mixed with alcohol.